I love a good DIY Project. Especially if it saves us some money at The Salvaged Boutique, the home decor boutique I co-own with my sister. Earlier this year we were preparing for a Summer Sale Event. We wanted to offer something a little different so I thought we could offer fun scratch-off cards for customers shopping with us to get a discount. After doing a little bit of research online, I found paying to have scratch-off cards custom made wasn’t in our budget. So I decided to make them myself! Why not? We chose to offer discounts ranging from 5-15% and one special person would receive a 25% discount. You can customize this for your business and event. Want to make your own scratch-off cards? I’ll show you how! Download each card individually from Canva; Choose “Download” and then instead of selecting “Download all pages”, I chose to download each “page” individually. So, I saved 4 designs. When a customer comes up to your register, have them pick a card and give them a coin so they can reveal their discount! Kathy from Pineapple on Main in Manayunk (Philadelphia), PA, used this tutorial to make these gorgeous scratch-off cards for one of her in-store events! Aren’t they great? If you make these for your event, I’d love to see photos! 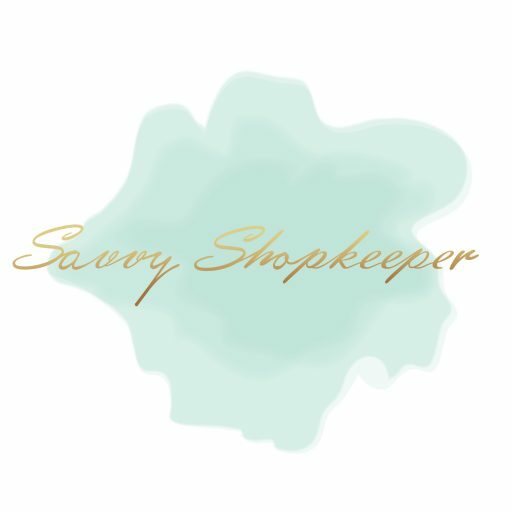 Please share and tag me at @savvyshopkeeper on Facebook or Instagram! *Please note that some of the links above are affiliate links, and at no additional cost to you, I will earn a small commission if you decide to make a purchase after clicking through the link. I recommend them because they are helpful and useful to shopkeepers, not because of the small commissions I make if you decide to buy something through my links. Please do not spend any money on these products unless you feel you need them or that they will help you achieve your goals.